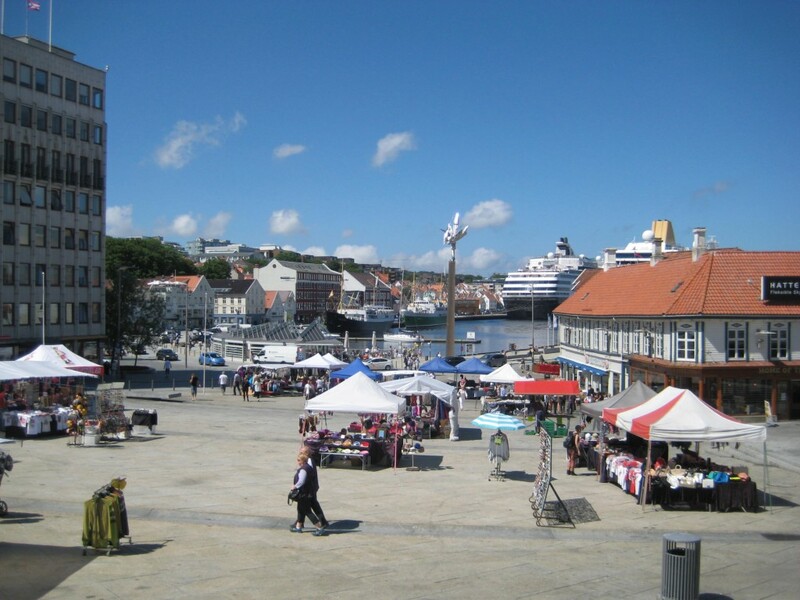 Stavanger is about 30 square miles in size and is the fourth largest city in Norway. Prior to the discovery of oil in the North Sea in 1969, Stavanger was known as a canning town with over 50 canneries operating. Since the discovery of oil this city of 125,000 has become known as an oil town. The boom of the oil industry has also made it one of the most expensive cities in the world and one with very low unemployment. The city is comprised of many wooden homes from the 18th and 19th centuries. These beautiful old homes are protected by the city’s cultural heritage department as a reminder of its past. We took a cruise through the Stavanger Archipelago this morning in search of the natural wonder called Pulpit Rock. 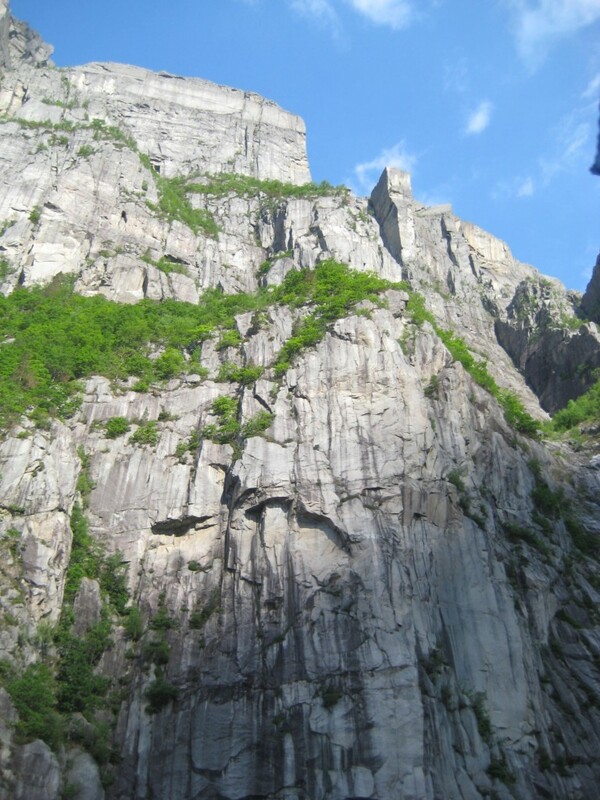 This protruding rock cliff is unique in that it is square in shape, measuring 82 by 82 feet, flat at the top and rising nearly 2,000 feet above sea level. The rock was formed during the last ice age some 10,000 years ago when the edge of a glacier was believed to stop just above the mountaintop. The Fjords are beautiful with a variety of terrain ranging from gentle sloping hillsides to steep rocky cliffs along the banks of the Fjord. 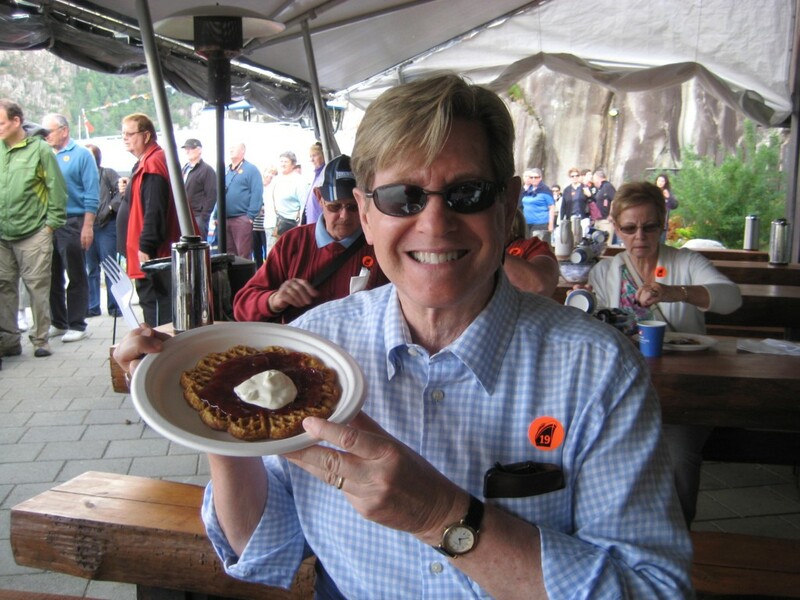 After viewing Pulpit Rock from the water we stopped at a shore side restaurant for traditional Norwegian waffles served with jam and sour cream. The waffles are thinner and more soft than crunchy than those we are used to at home, but nonetheless delicious. In the afternoon we explored the city center on foot. The city is built on the hillsides surrounding the Fjords and the charming streets are narrow and winding. We wandered the largest surviving wooden house settlement in Northern Europe where we are able to visit a museum in one of the old wooden houses where several families, as many as 30 people may have lived at one time. Times were tough in this old canning town and housing was expensive. 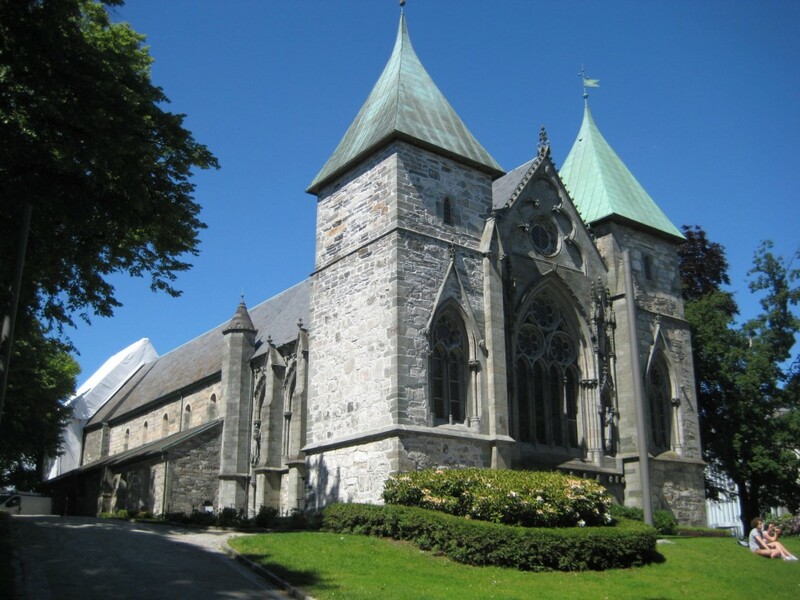 In the city center you find Norway’s oldest cathedral built around 1100 overlooking a lovely lake with swans, birds, flowering beds and park benches. The entertainment this evening is a one-man show by Jonathan Clark. He is a singer, comedian and vocal impressionist for a large number of stars like Michael Jackson, Ray Charles, Neil Diamond, Tina Turner, Tom Jones, etc.